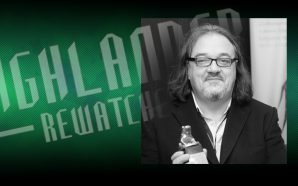 For this special CIMOLI’S CHOICE episode, the Blood of Kings team has made special arrangements with Watcher’s Headquarters to bring in an EXPERT in the subject for this week’s podcast. 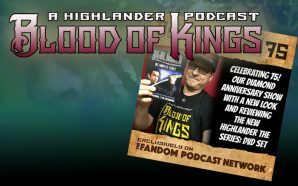 With Norm on this episode of Blood of Kings, is fellow Highlander expert and the main editor for Blood of Kings…Mike Sellers. Norm discusses with Mike: Why is the Immortal Cimoli so near and dear to Mike that it earned his EDITOR’S PICK (known as Cimoli’s Choice) for the subject matter of a Blood of Kings podcast over ALL other episodes…except for Season 3’s Take Back the Night which we covered in Blood of Kings podcasts 48 and 49. Also, we discuss in great detail one of the most misunderstood Immortal “villains” in Highlander: The Series – Damon Case. Many fans think of him as “evil”, but is that a fair assessment of who he is? Is Damon Case a villain…OR is he solely playing by the strict rules of the game and does that make him evil because he is at certain odds with our HERO Duncan MacLeod?